The New York Red Bulls promote responsible drinking and positive fan behavior at Red Bull Arena. The Red Bulls Fan Code of Conduct and details of the Red Bulls alcohol management plan that appear below ensure that fans have a safe and fun experience. Fans are encouraged to cheer, sing and otherwise support their team while remaining respectful and courteous to their fellow patrons, referees, opposing team players and fans. Fans conduct themselves in a lawful manner to avoid incidents in the stadium and surrounding areas. *The use of confetti as an expression of fan enthusiasm is not prohibited, but will be kept under review. Streamers are prohibited, but will be kept under review. 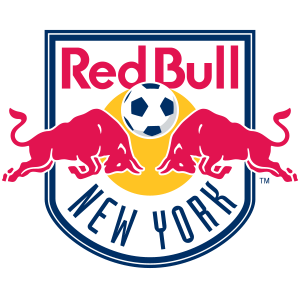 The New York Red Bulls and Major League Soccer thank you for adhering to the provisions of this Code of Conduct and making this event special and memorable to you and your fellow patrons. Guests will not be permitted to bring alcoholic beverages into the Arena. Guests will not be allowed to enter the Arena if they appear to be intoxicated. Limit of (2) alcoholic beverages per possession. By New Jersey State law, alcoholic beverages are not vended in the seating areas. All guests must provide valid proof of age. Alcohol sales are shut off at the 55th minute of soccer matches or earlier at management’s discretion. For other events including concerts and sporting events, Arena management will determine the shut off time on a case by case basis. Drunk and disorderly behavior as well as violation of any alcohol policy will result in ejection from the Arena without refund and could result in the loss of season tickets. Since 2010, Delaware North Sportservice and Securitas Security Services at Red Bull Arena have been recognized by TEAM Coalition for their commitment to training gameday staff in responsible alcohol management. Designated drivers who make this pledge at New York Red Bulls home games receive a free soft drink and are entered into the Major League Soccer Responsibility Has Its Rewards Sweepstakes.